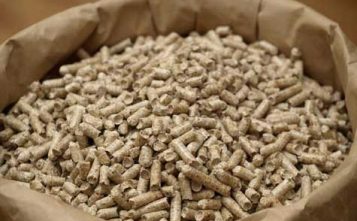 The total capacity of all Russian wood pellet plants is 3.6 million tons of finished products per year, but the industry average load of the plants is 50%. Most of the pellet enterprises are located in the North-West (Leningrad, Arkhangelsk, Vologda regions, Republic of Karelia). In the period 2016-2018 Siberian timber merchants have become more active, and today Siberia can be attributed to the second largest pellet cluster in production in the Russian Federation. There is an obvious trend in the development of the pellet trend in the Far East (operating lines at Asia Forest LLC, JV Arkaim, RFP Group under construction), which is primarily due to the attractiveness of exports in the Asian direction. Russian wood pellet experience shows that companies that are not integrated with the sawmill business face serious raw material risks. According to WhatWood consultants, the further development of production capacity in the Russian Federation will continue the trend under the sawmill + pellet line scheme. Especially such a scheme will be relevant for investment projects implemented under the "priority investment projects in the field of forest development." Recent changes in legislation oblige investors to dispose of wood waste (at the dawn of the PIP mechanism, this was not the case). Time autonomous, independent production ends. Such an approach will allow utilization of sawmill waste and increase the profitability of sawmill. Infographics. Location of plants for the production of wood pellets in Russia. 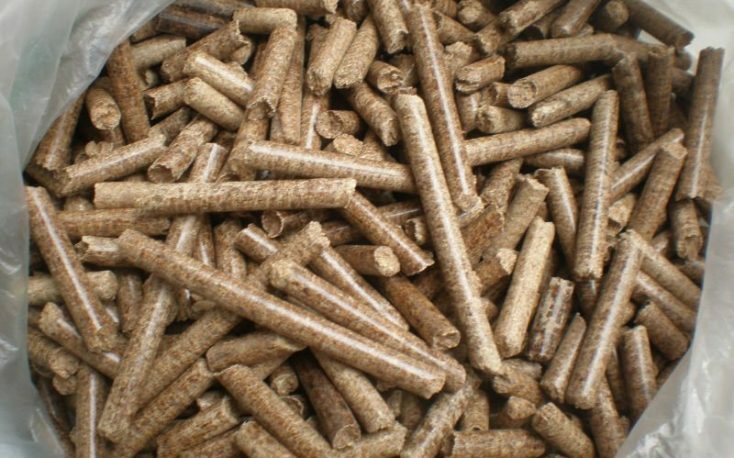 In Russia, there are about 300 enterprises for the production of wood pellets of different sizes. By the number of companies in the Russian Federation, small private companies dominate with an annual volume of up to 20 thousand tons per year. Their total capacity is 710 thousand tons (85% of the installed pellet capacity). The remaining large and medium-sized enterprises with an annual production capacity of more than 20 thousand tons. It should be noted that in 2018 30 companies produced 80% of the total volume of pellets in the country. 30% of the market is controlled by 3 groups of companies. An analysis of the competitive environment according to the Herfindahl-Hirschman index (its value in 2018 did not exceed 1000), makes it possible to classify the Russian pellet market to low concentration (monopolization) markets. 2018 was marked as the period of the most favorable prices for producers in recent years. 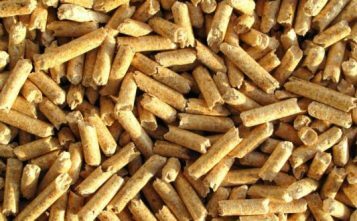 The average selling price of pellets by manufacturers, according to official statistics, was 7700 rubles / ton. (104 euro / t.). The increase in average prices in rubles compared to 2017 amounted to 40%. First, a favorable market situation in export markets influenced the price growth: exporters' contract prices rose during the year, sales prices were at their peak in recent years. Secondly, ruble weakening in 2018 versus the dollar by 8%, versus the euro by 12% had a rise in prices in rubles.